Thank you for your support with the launch of GET READY! : A Step-By-Step Guide to Maintaining Your Financial First Aid Kit. 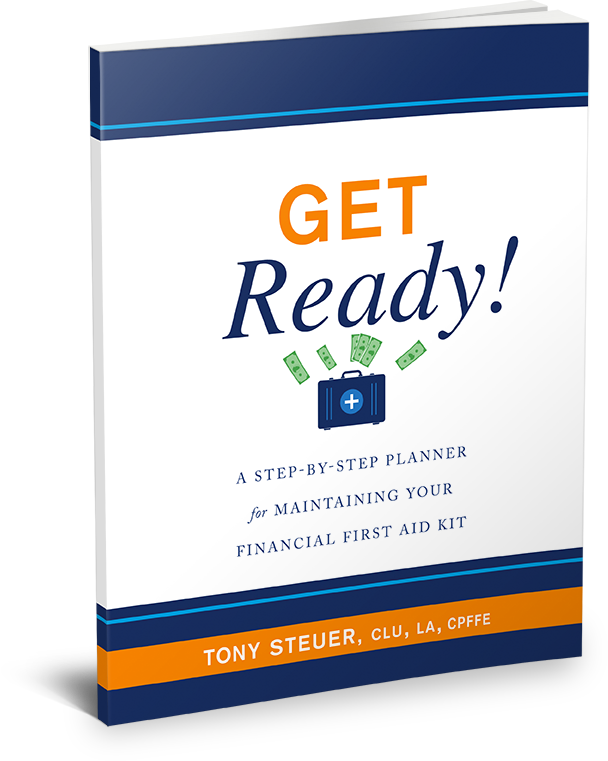 To celebrate the launch and to promote Financial Preparedness, you can enter to win a free copy of GET READY! On Goodreads (click here) through January 28, 2019. And, I’m pleased to once again be offering Amazon Kindle versions of all of my other books for 99 cents on Amazon (click here).This includes Insurance Made Easy, Questions and Answers on Life Insurance, The Questions and Answers on Life Insurance Workbook, The Questions and Answers on Disability Insurance Workbook and The Questions and Answers on Insurance Planner. Thank you to everyone who's helped my books reach best seller status in multiple business & insurance categories. Leaving a review on Amazon is much appreciated and really helps me out. And please share with others who may be interested.